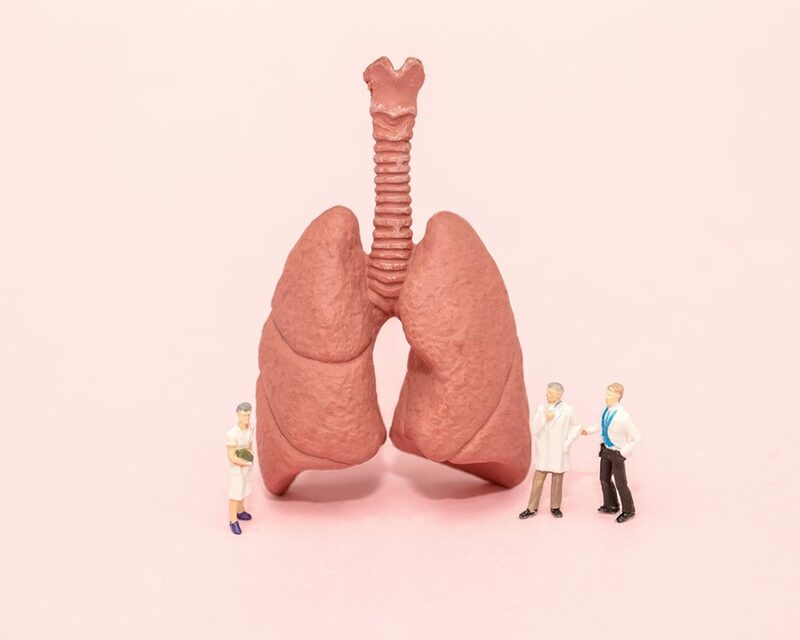 The combination of levofloxacin with isoniazid, pyrazinamide and ethambutol was found to be effective in managing mycobacterial infection in lung transplant recipients. A team of physicians from the Department of Thoracic Surgery and Department of Respiratory Medicine at the Tohoku University, Japan reported successful management of mycobacterial infection with the combination of levofloxacin/isoniazid/pyrazinamide/ethambutol and NTM infection with the combination of clarithromycin/ethambutol in lung transplant recipients.2 Of the 100 lung transplant recipients retrospectively reviewed from March 2000 to January 2017, two recipients developed mycobacterial infection caused by Mycobacterium tuberculosis and two recipients developed NTM caused by Mycobacterium avium.2 The diagnosis of TB and NTM were based on results of sputum or gastric fluid culture to rule out other causes of infection. All cultures from the donors were negative for mycobacterium; on average, the lung transplant recipients developed mycobacterial infection 20.5 months after lung transplantation.2 Patient 1 was infected with TB in the right lower lobe of the native lung. Levofloxacin (500 mg/day) + isoniazid (300 mg/day) + ethambutol (1000 mg/day) was given instead of rifampicin due to its interaction with calcineurin inhibitors.2 Tacrolimus was used to maintain immunosuppression for the first 6 months; however, the patient developed cardiomyopathy and tacrolimus was switched to cyclosporine. The patient’s symptoms improved 18 months after TB therapy (with the addition of pyrazinamide 1500 mg/day for the first 2 months) – with computed tomography (CT) showing disappearance of the infiltrative shadow of the infection in the right lower lobe of the native lung. Patient 2 underwent single lung transplant for chronic obstructive pulmonary disease (COPD) and was infected with TB in the left upper lobe of the native lung.2 The patient was treated with levofloxacin (500 mg/day) + isoniazid (300 mg/day) + ethambutol (750 mg/day) without rifampicin.2 Adequate immunosuppression was maintained using tacrolimus. As with patient 1, the patient’s symptoms resolved 18 months after TB therapy – with the addition of pyrazinamide 1500 mg/day for the first 2 months. The pulmonary function of patient 2 was also reported to have improved following treatment for TB infection – measured as an improvement in the forced expiratory volume in 1 second (FEV1). The team concluded that the combination of levofloxacin with isoniazid, pyrazinamide and ethambutol is effective in managing mycobacterial infections in lung transplant recipients without any cases of acute rejection under adequate immunosuppression. Management of de novo mycobacterial infection after lung transplantation without rifampicin: Case series of a single institution. Meije Y, et al. Clin Microbiol Infect 2014;20:89-101. Suzuki H, et al. Transplant Proc 2018;50:2764-2767.